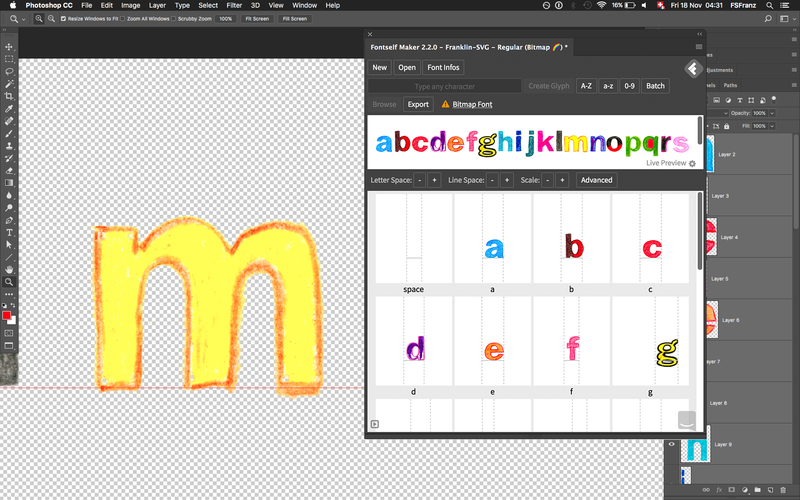 Fontself Maker is to creative adults what Play-Doh is to kids: an instant classic, and a really fun thing to play with. Whatever crazy lettering idea you may have, just do it. Use any tool or material you want. As long as you can picture it into an image, go ahead. Joël Boucheteil, Dinh Nguyen, Fulguro & Pierre Terrier. Gone wild. 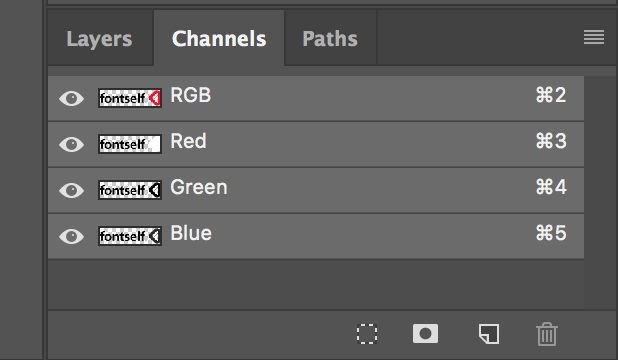 Once you’re done with the creative part, it’s time to import your artwork in Photoshop. If you’ve scanned or photographed your lettering, clean it a bit. 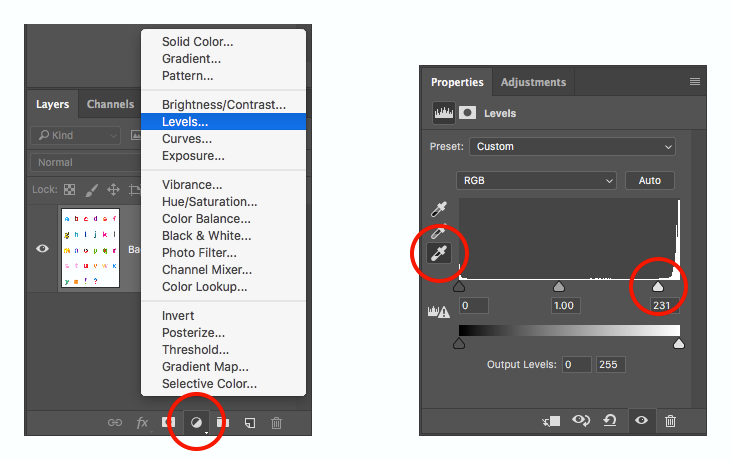 To easily remove the color background behind your letters, create a new Levels adjustment layer, pick the third Eyedropper tool in the Properties panel, and click on your image where your brightest point stands (this will set you white point). Then manually adjust with the right-side slider to fine-tune. Once you’re done, go to Layer > Flatten Image. You now have a clean source image, with a perfect white background, ready to extract your lettering. In most cases, you’ll probably want to remove the background behind your letters. There are countless methods to do so in Photoshop, but let’s try a simple one. 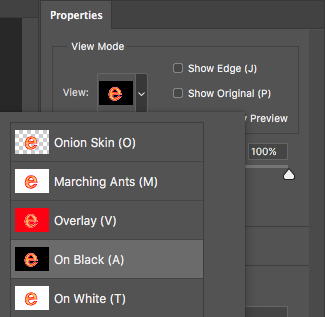 Double click on your Background image in the Layers panel to turn it into a layer (this allows you to add transparency to your layer). Pick the Magic Wand Tool, set a Tolerance of 10, uncheck the Contiguous option and click anywhere on the white background. Now go to Select > Inverse to revert the selection (this will select only your lettering) and press Select & Mask… in the toolbar. Time to play with a few settings (feel free to experiment with each slider, as they can dramatically impact the quality of your extraction). You’re almost done, now click Ok and enjoy the difference! You’ve got a whole set of glyph wannabes on a single image layer? 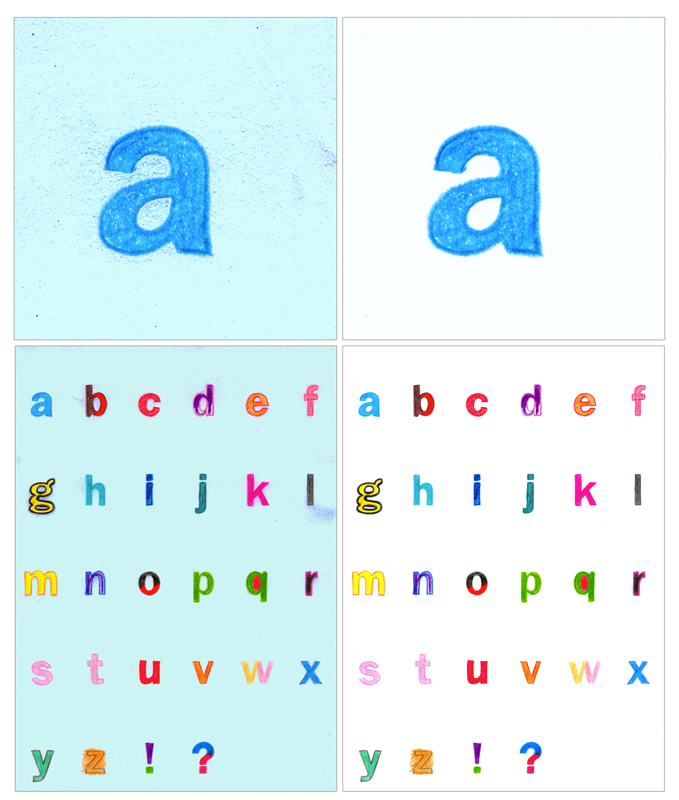 Let’s move these individual letter images into their own layer, so they can easily be identified as single characters. Just complete the extraction mission: +10'000 points !!! 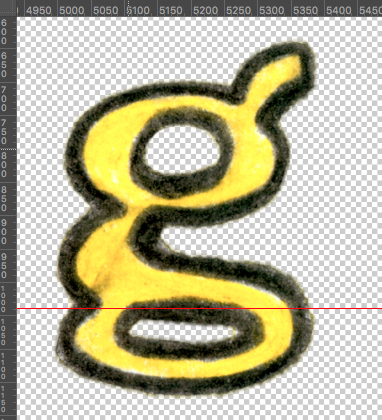 So how do you put each letter into its own layer? Easy: just pick any selection tool — like the Rectangular Marquee Tool — and drag a selection around your first character. Press Cmd+J (or Ctrl+J on Windows) to duplicate the current selection into a new layer. 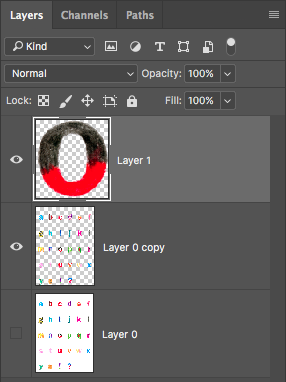 Select your transparent letters layer again, and repeat the process with all the characters from your source image. 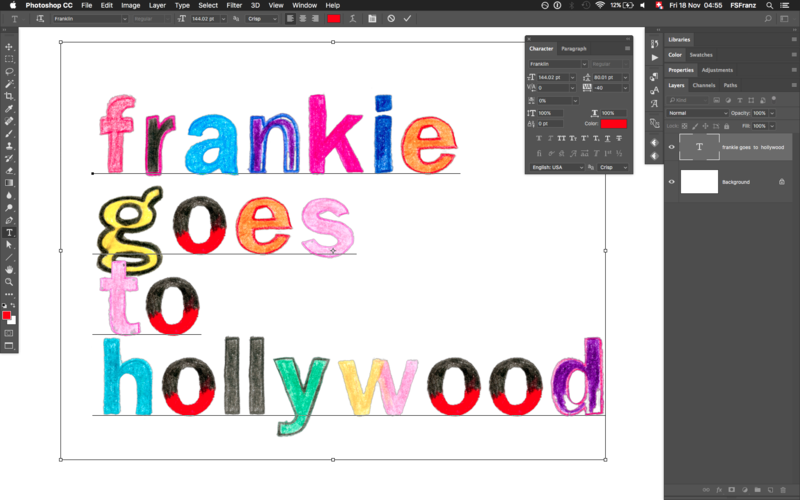 Stick with us & see how you can turn your lettering into an actual font. To import each of your letters in Fontself, we recommend to use the fastest way to do so: by importing a whole series in one go. To do so, you need to align all your characters in a single row. If needed, go to Image > Canvas Size to extend your document’s width. You should also create a horizontal guide to ensure your letters are perfectly aligned: show the View > Rulers, and click & drag on the top ruler to create a new guide. Pick the Move Tool, click & drag a whole selection around a group of letters, and move them altogether. 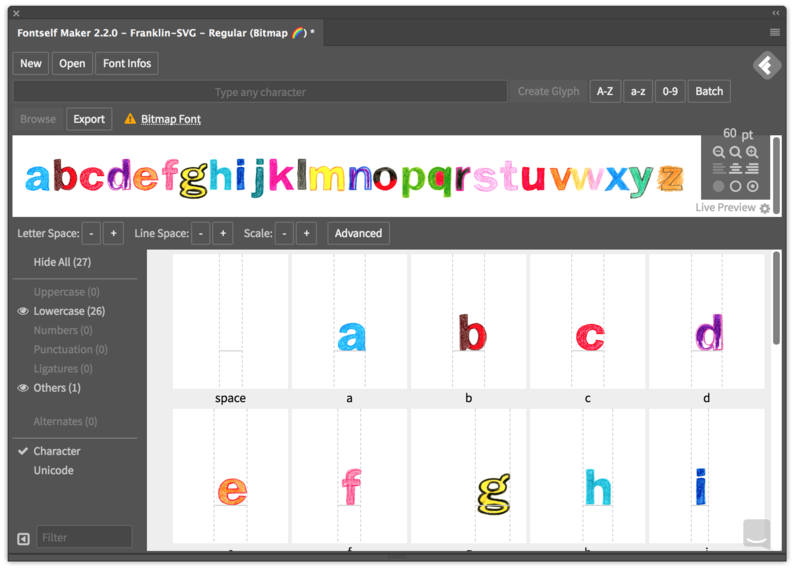 Before you start importing your letters into Fontself, we recommend to set the size of most glyph around 500 to 700 pixels in width and height (the pixel resolution doesn't impact your font size, only the pixel count) and no larger or wider that 1000 pixels and no smaller or tighter than 300 pixels. This will provide sufficient quality for screen usage on Retina devices as well as small prints while keeping the font size manageable in the computer's memory. 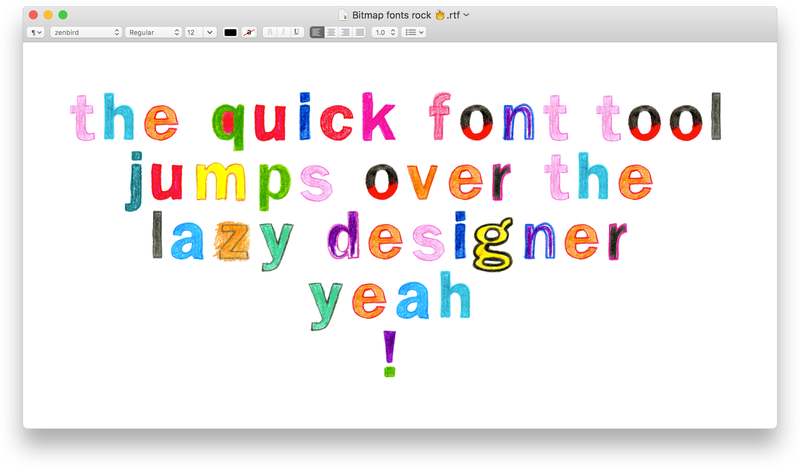 Usually, it’s safe to keep bitmap fonts below 50 megabytes, otherwise the extension may crash. The font size will grow depending on the size and also the complexity of the glyphs (how many colors, whether there are textures, etc.). 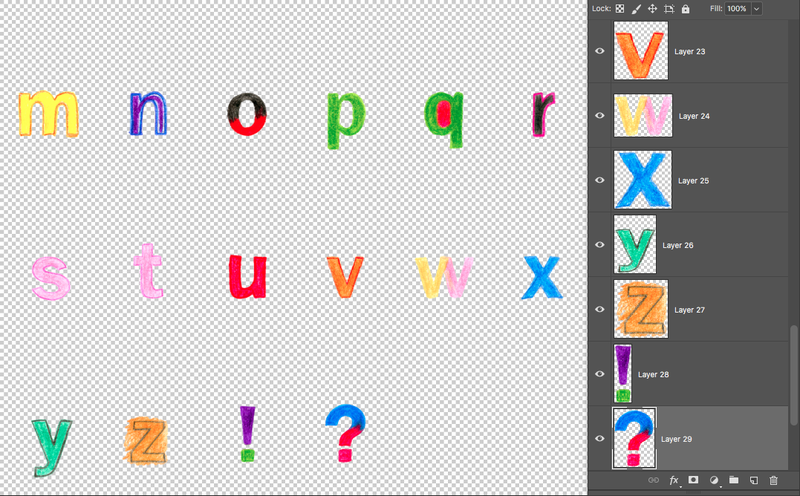 Select the 26 layers of your alphabet & drag them on the Fontself panel. Press the Save/Export button in the Fontself panel. Type a name for your font. Install your font file on the system (Photoshop will need a restart when you are updating an existing font). Pick the Text Tool in Photoshop.